A collection including all three Rabi Laby titles, plus Witch's Cat. 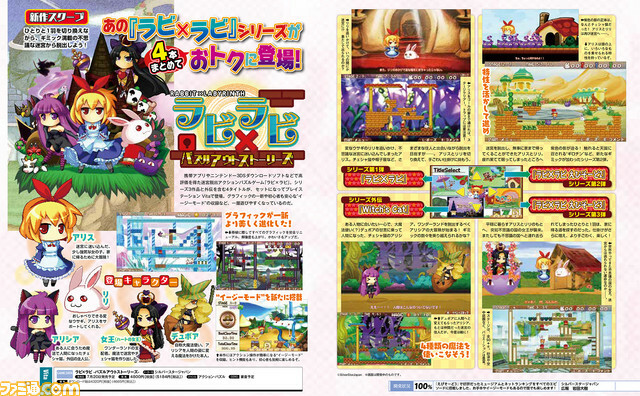 The latest issue of Weekly Famitsu reveals Rabi Laby: Puzzle Out Stories for PS Vita, a collection including the three titles of the Rabi Laby series, plus a spin-off title. Rabi Laby is an action puzzle game series from Silver Star Japan in which players are tasked with escaping from a mysterious labyrinth. The four titles included in the collection are Rabi Laby, Rabi Laby 2, Rabi Laby 3, and Witch’s Cat. All four titles were initially released for 3DS. Update 7:36 a.m.: Rabi Laby: Puzzle Out Stories will launch for PS Vita in Japan on July 20 for 4,800 yen. The graphics have been completely renewed, and the resolution and cuteness have been increased. An “Easy Mode” with simple controls has also been implemented for beginners. Development is 100 percent complete.